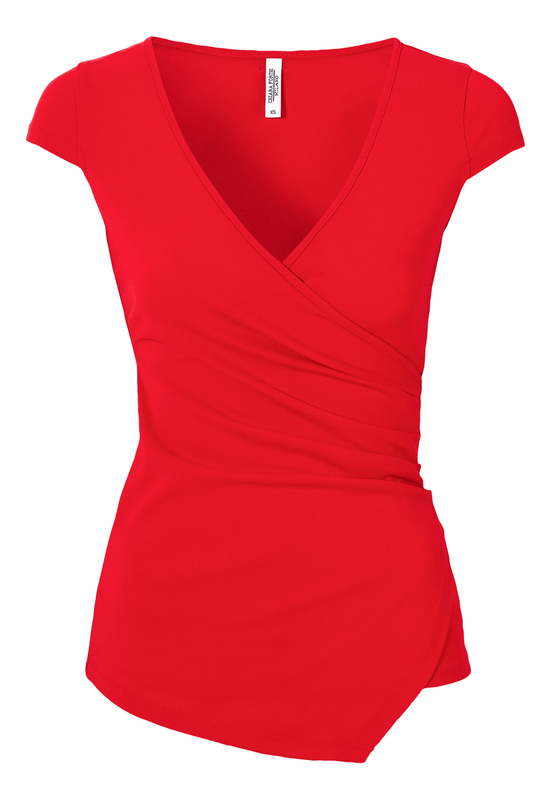 Gorgeous wrap top in tricot fabric with side draping from CHIARA FORTHI. The top has an attractive asymmetrical hemline and a gold color metal logo at the neck. Perfect for both everyday and party wear. Total length of garment in size S: 61 cm.